Primers – Highlighters – Golden dusts – oh my! 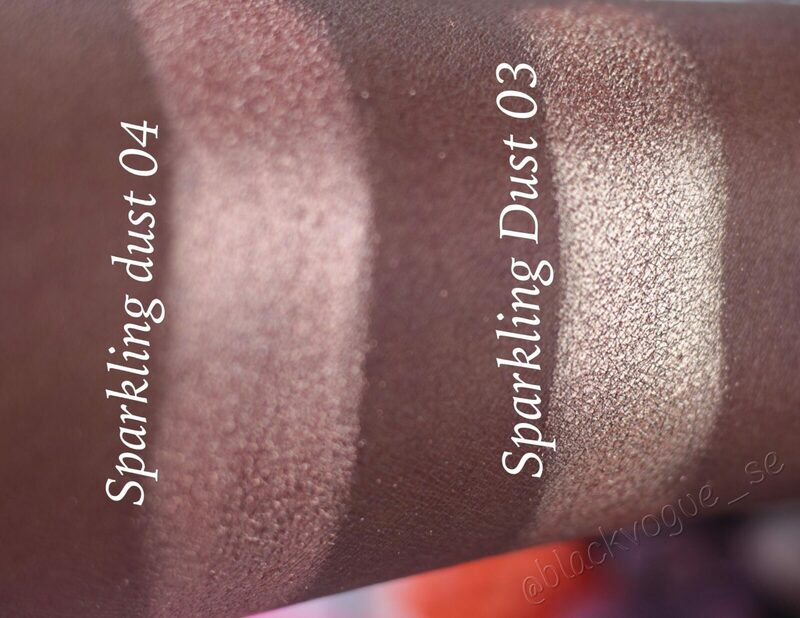 As I continue on my quest to learn everything i can about product photograph i decided to continue working on my Swatches so can show you all the glow from my products from Inglot. If you want to see a live video on these products then a video link to my Youtube channel (lovettes house of style) will be available at the end of the post. 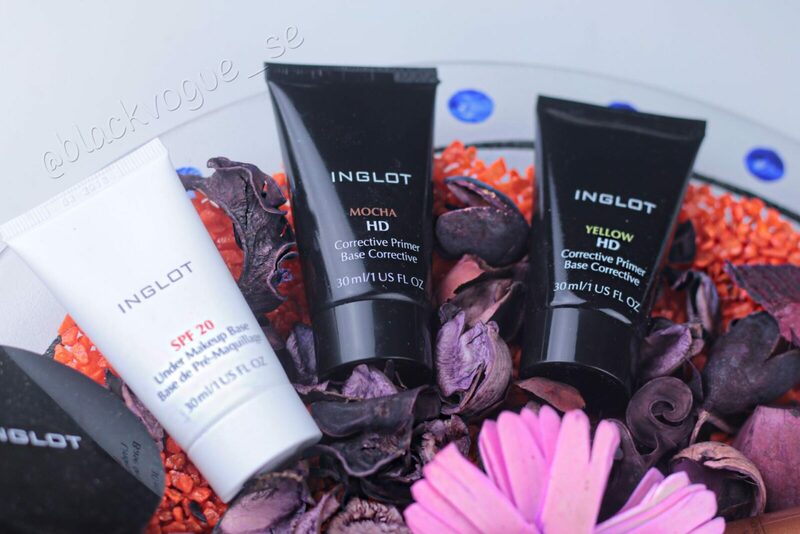 Today am going to write about some of my frequently used products from Inglot!!! I will give you some background information on the brand before I get into the Fabulous products they have for women of colour! 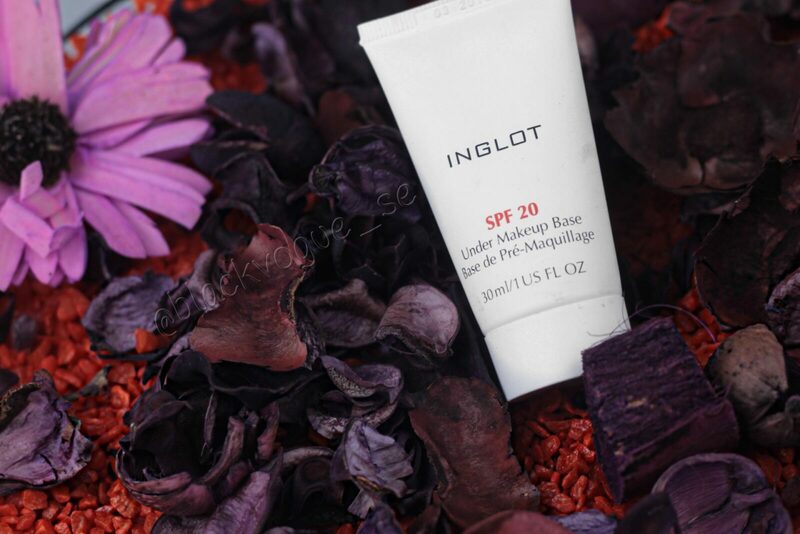 Inglot is a polish makeup brand that has been around for over 30 years in the beauty industry. It was not until 2015 that they established two locations in Sweden. The first one is located in Mall of Scandinavia in Solna and the second one is located in Triangeln in the Swedish city of Malmö near Denmark. 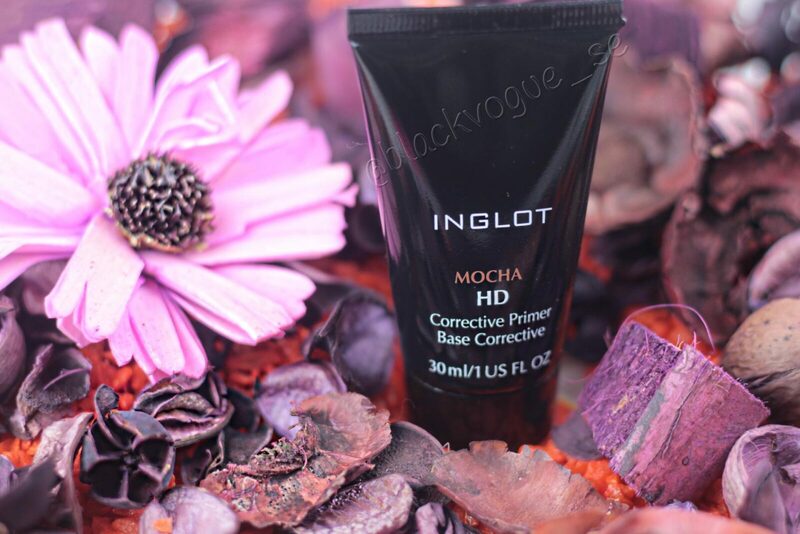 Whilst i was (and still am) on my search in Sweden for companies that do foundations and products for black women/men/non gender binaries and that is well pigmented and does not test on animals i stumbled upon Inglot and its owner in Sweden and well….a love story began. 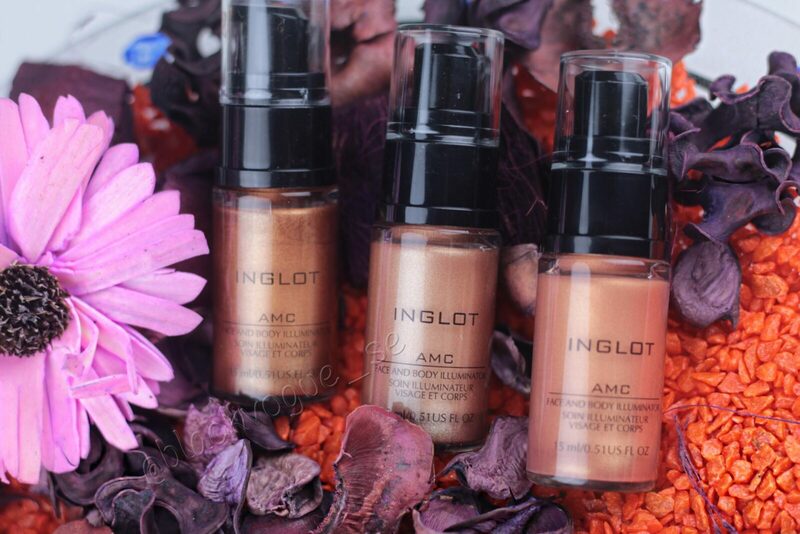 When i visited Inglot for the first time i was mainly drawn to their liquid highlighters especially after i watched them on my forearm and was amazed by the glow, in fact i was DAZZLED by the glow that i watched reflect off of my arm into the universe. (NO JOKE). 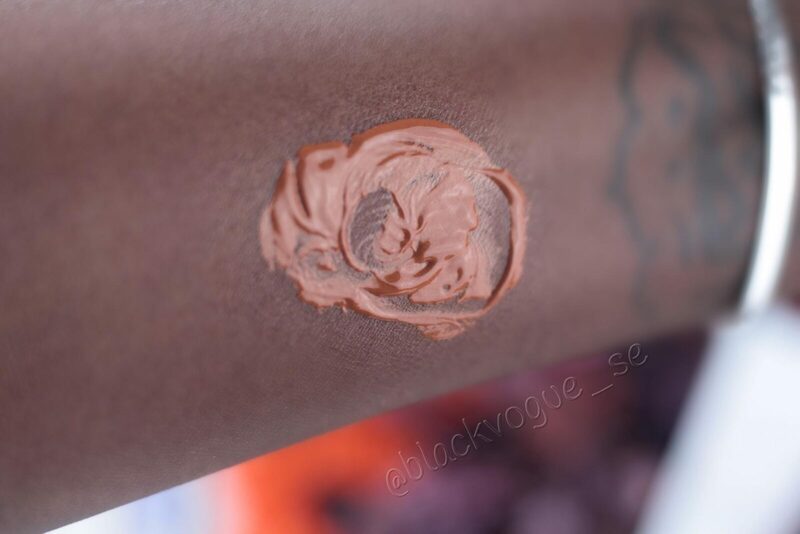 I started mixing the AMC body and face highlighters with my foundation I was using at the time to get a summer glow even during the Swedish winter months. The first one i purchased was the one furthest to the left and I gradually bought two others that i use on my clients of medium to lighter skin tones. No matter what melanated skin tone you are I will tell you exactly which may be the most suitable and provide swatches on my squinting. Get ready to feel and see the GLOW below! 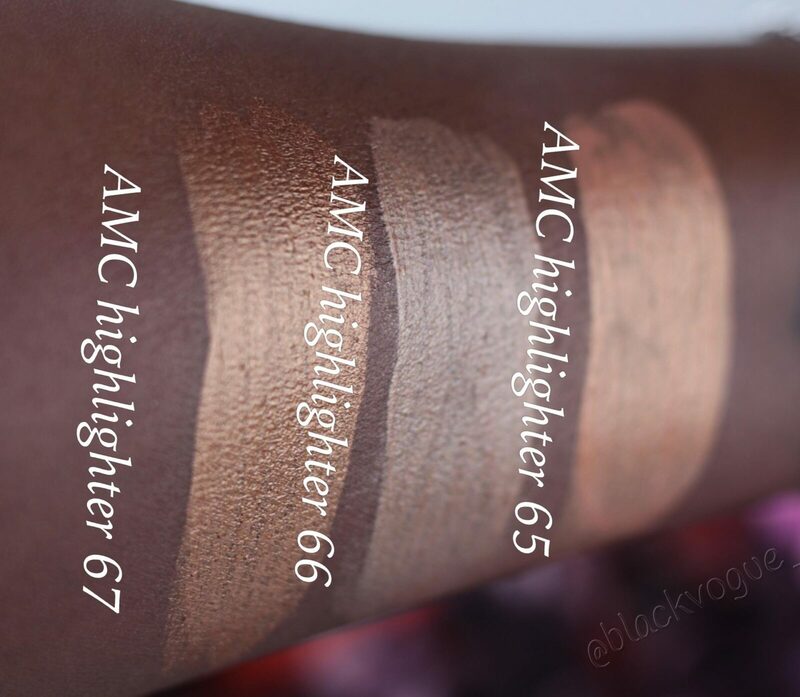 Because i am a deeper melanin tone I find that the AMC highlighter in 67 best compliments my skin and looks amazing on women with Lupita Nyong’os skin tone up to my skin tone. 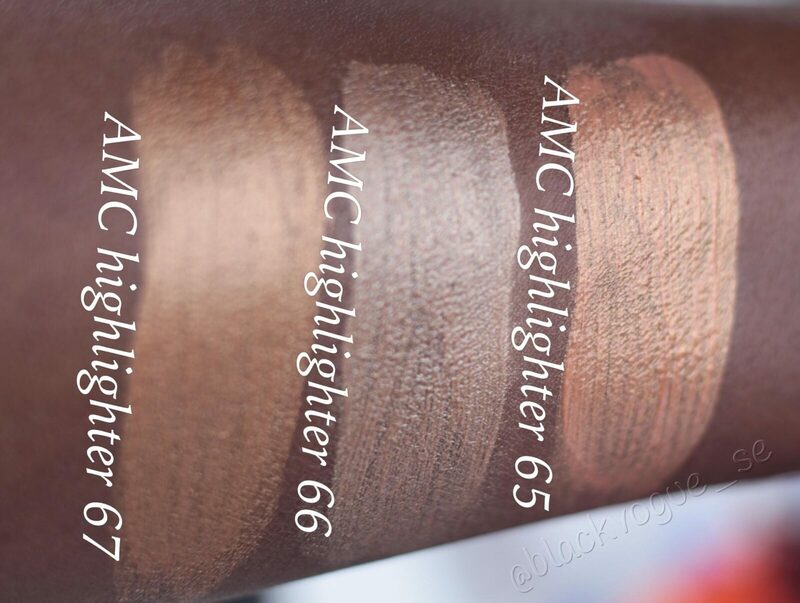 In the images below you will clearly see that the AMC highlighter 66 (middle swatch) is a much cooler tone which is more suitable for skin tones from my colour to Halle Berry tones. When you look at AMC highlighter number 65 it is just slightly cooler than the one i use and i find that in winter time when i am lighter, or in the summertime if i want a subtle glow this one is perfect. In short it works on all colours and undertones and you can choose intensity by how much you apply. I personally like the fact that i can mix it with any of my foundations to get anything from a soft glow to an exaggerated fleekiness depending on how I am feeling at that given time. Ok…have you ever wondered what magic in dust form looks like? It would look and feel like the sparkling dusts below. I want you to envision a melanated tinker bell, flying around your makeup table sprinkling happiness in the form of gold onto your cheekbones and all the highest points of your FACE serving you highlighted goddess realness. If you can imagine that then you will not be surprised by what am about to show you. 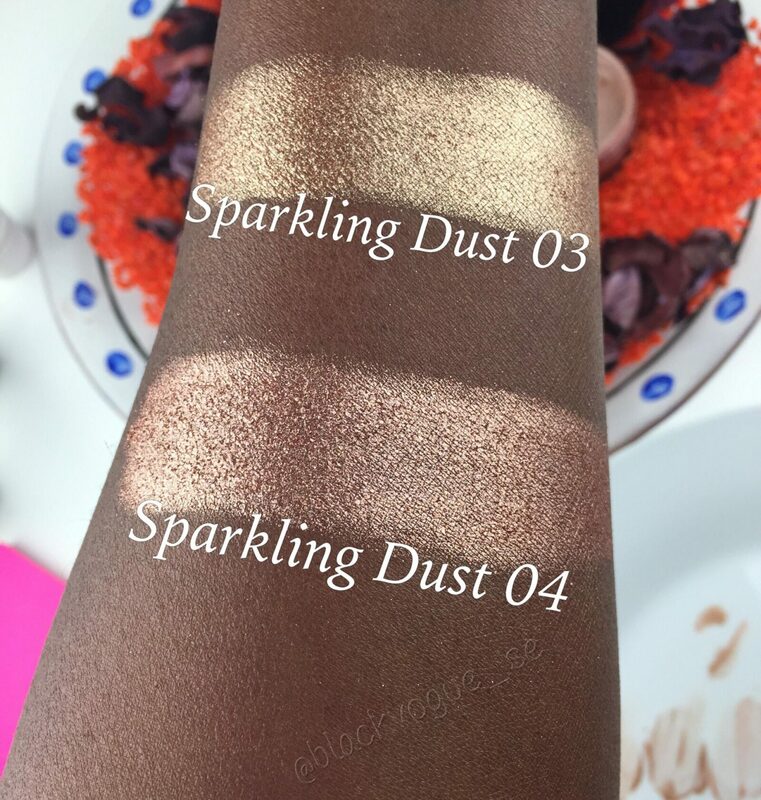 I only ever used highlighters in compact form and i must be honest i was slight scared of trying highlighters in loose form until i had these swatches on me in shop 2 months ago and i was sold. 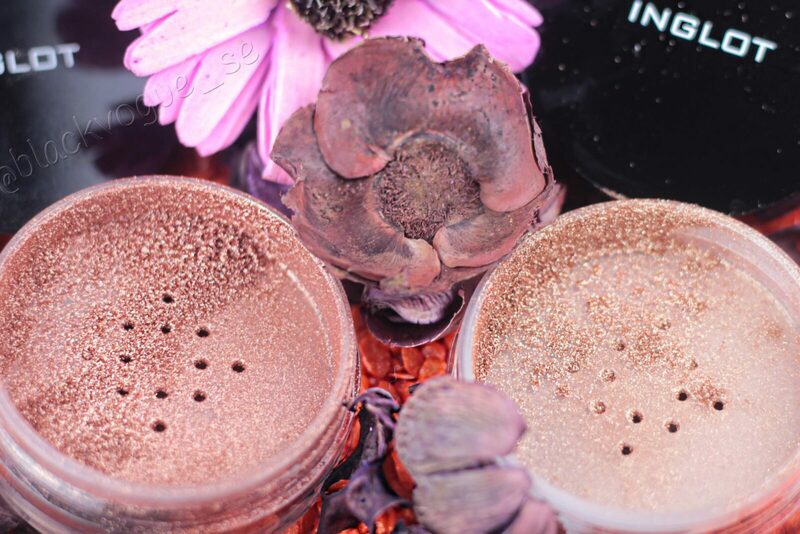 I find them multi versatile in the fact that i can use it as eyeshadow, highlighter and if i mix it with Duraline liquid it turns into a lipstick as well. So i personally feel as though i get my monies worth. A tutorial on this look is already up on my youtube channel if you are curious and want to see the effects of the product on melanin. 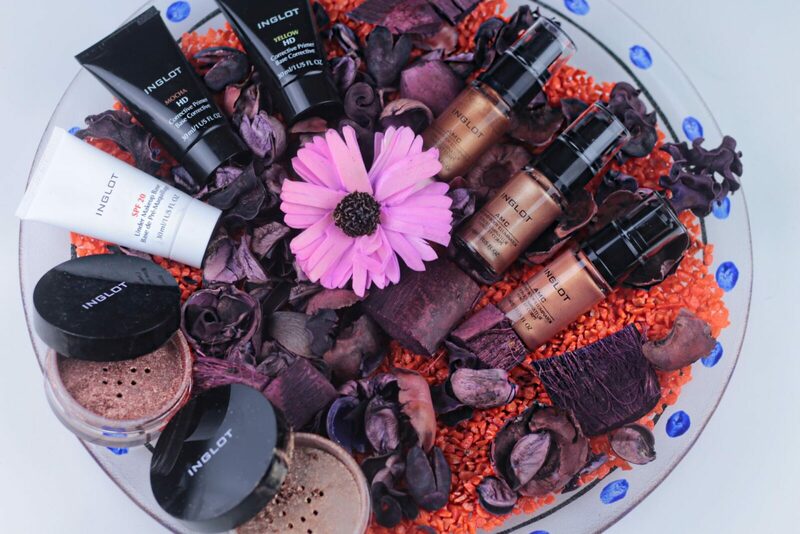 Primers, Primers, Primers and more! Now within the forum we always mention primers and there will be a post going in depth about the benefits of using both primers as well as sun protection. Many believe people with melanin in their skin do not need sun protection but you are very wrong. Most melanin in our skin only offers 13.5 SPF in sun protection naturally and the skin requires a minimum of 30 in direct sunshine to be fully protected. In the summertime i use spf 50 on my face to protect it from damages from the sun and in the winter i use a lower dose of 20 to allow my body to absorb vitamin d.
Of course when you can combine both the use of a primer with an SPF protection you get double benefits in one product which is a big bonus in my book. The main purpose of the face primer is to help you achieve the smooth, even complexion prior to applying your favorite foundation, powder, BB cream or just your concealer and there are several kinds available to you in shops. 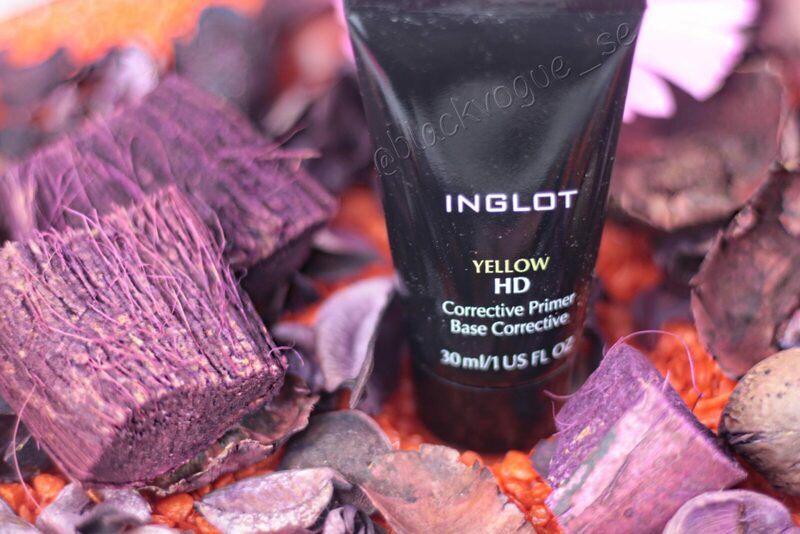 Below i will go through three alternatives that can be found at Inglot. 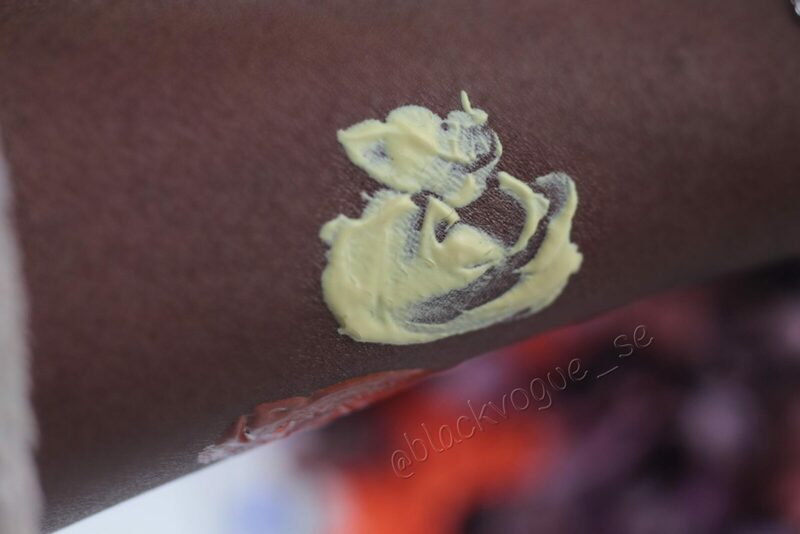 Now the main reason I chose to often use this primer is because it has golden highlights in it that gives me a glow just like the mac strobe cream used to. 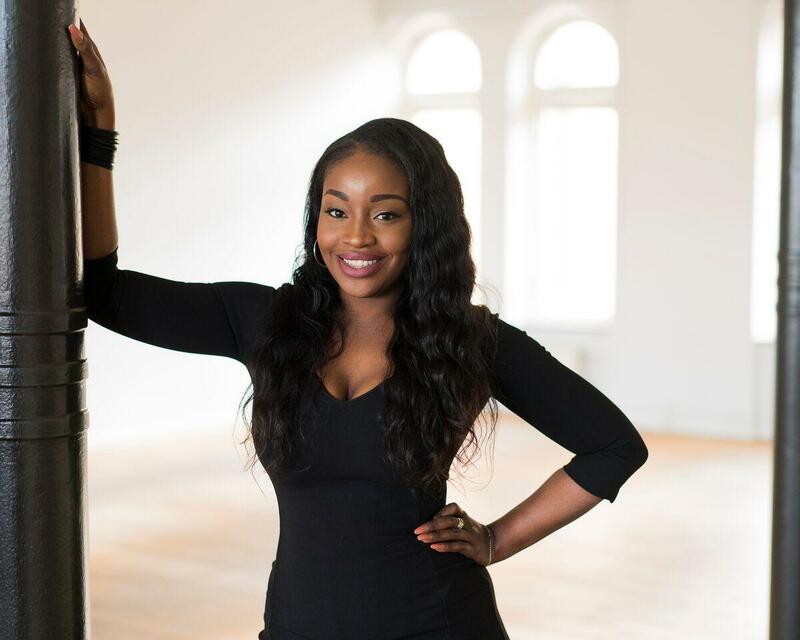 It works like a primer, colour corrector as well as a mini highlighter for women of darker skin tones. I also find that i use less foundation when i use this primer because it corrects my skin in areas that are darker like under my eyes. And so far this is the only primer i have found that has this colour so similar to my skin tone. Now this primer is better suited for the lighter scale of the melanin skin tones especially those with yellow undertones. If you have dull skin this instantly corrects that by adding lustre back to the skin. So the effect is the same in the sense that you will use less foundation since you have prepped your skin beforehand. It is a little pick me up in a bottle that i carry with me when i travel and work on clients especially in the theatre industry. Well thats all from me Lovelies and i will be back tomorrow with some more favourites from my makeup kit. In the meantime let me know if you have tried any of these products and which ones are your personal favourites and which ones you are looking forward to trying out. Much love and take care until next time. Oooh My this is very gorgeous.